We have seen quite a few different iPhone cases here at Geeky Gadgets, the latest one is the Bioserie iPhone Case which is designed to be environmentally friendly. The Bioserie iPhone Case is made for Bioplastic, which is made from 100% plants, which makes it much greener that iPhone cases made from normal plastics and petrochemicals. 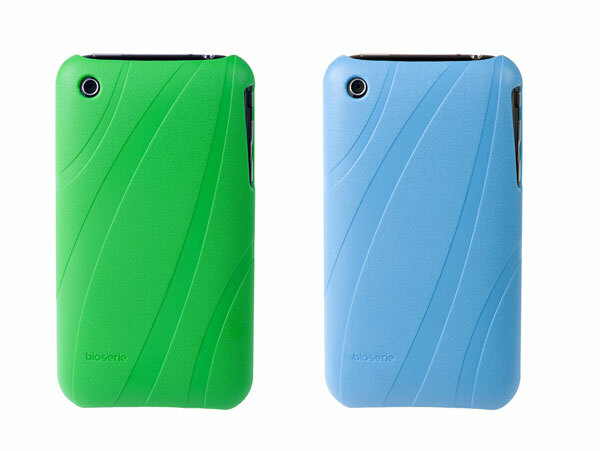 The Bioserie iPhone Case will be available in a range of colors, which include green, blue, black and a few other, and as you can see from the case it features a leaf like design. It looks like Bioserie also intend to launch a range of cases and accessories for Apple devices this year made from Bioplastic. The Bioserie iPhone Case will be available at the end of February 2010 from Bioserie.